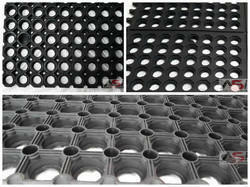 Stud Rubber Mats are covered with flexible rubber studs which act as an cleaning agent. It gives as acupressure effect. Very good at the counters where people have to stand for long hours. Note : product price range from Rs 150 to Rs 2000 Per Square feet. Thin flexible ribs on the surface remove all dirt. 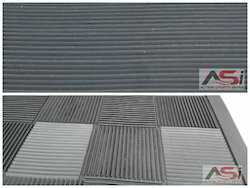 These durable, heavy duty mats are used on ramp ways. There are different varieties of Ring Mats - Regular, Medium, Heavy and Interlock. These multipurpose heavy duty mats can be used as an entrance mat, bath mat, laundry mat or garden mat under all weather conditions. These mats are washable. We are the one of the largest importers, distributors, wholesalers of high quality EPDM Rubber Granules. 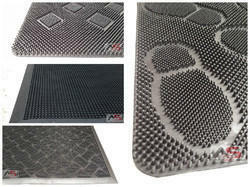 Looking for Rubber Mats ?